The city center of Kobe as I saw it last summer. Nobody expected the sudden quake of magnitude 7.3. While many were still at home when the eruption started at 05:46 local time, only twenty seconds sufficed to cause buildings and highways to collapse. Over 6000 lives were lost, Wikipedia tells me. 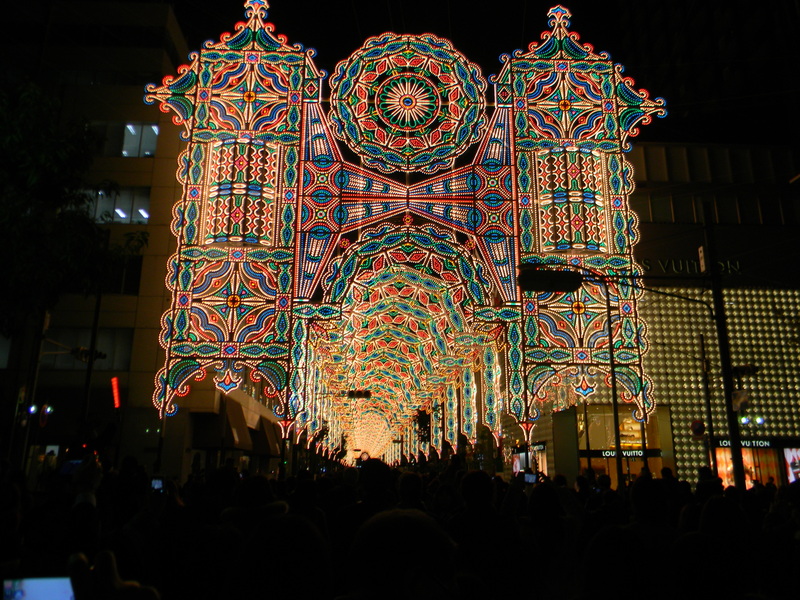 Every December the biggest light festival in Japan, the Kobe Luminarie fascinates both citizens and visitors. 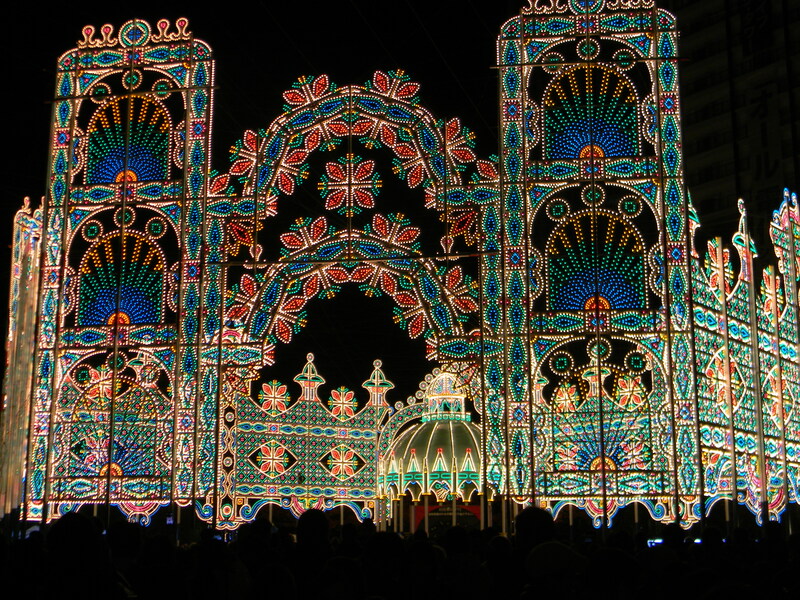 The impressive light arrangement was originally started to act as a symbol of hope. After the big impact the citizens insisted on continuing the event until today. Seriously, I want to go and see it with my own eyes next time. Nowadays not much reminds of the events of the past. 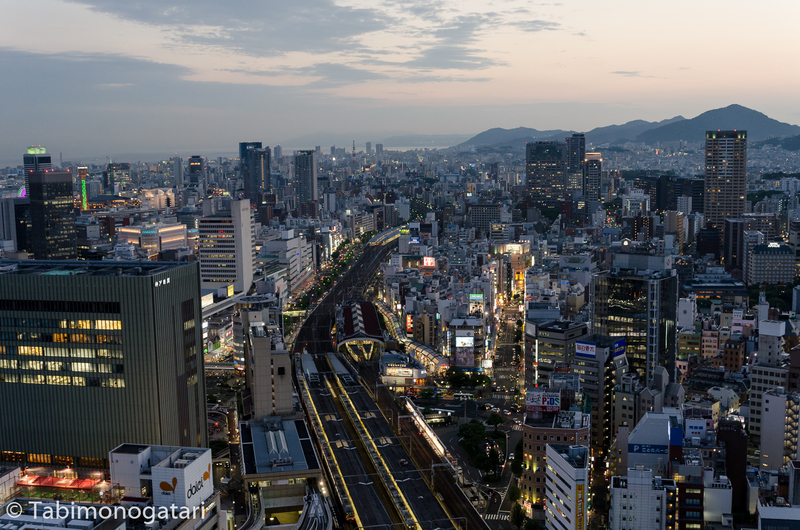 The city recovered and expanded, being the fifth biggest of Japan now. Only the Kobe Earthquake Memorial Park in the harbour area, which is basically an areal that was not restored intentionally, reminded be actively of the event. Half a year ago, I visited Kobe again – still one of my favourite places in Japan. Kobe was the first place I got to know in Japan. In 2012, I worked at the European School and taught elementary school children in German and English which was great fun. In my free time I explored much of the city and its periphery, you can find all posts from that time here. I really had a great time there, had a great view over the city, soaked in an onsen and even celebrated my birthday under fireworks. Kobe is and will stay one of my favourite places to visit. It is full of international influences and is not too crowded as Tokyo.